Last month’s bombing in Manhattan’s downtown Chelsea neighborhood led to Governor Cuomo’s call-up of an additional 1,000 NY State and National Guardsmen. If you used major New York City transit hubs like Penn Station and Grand Central Terminal in the days following the Sept. 17 explosion, the presence of these military and law enforcement members was no small comfort. 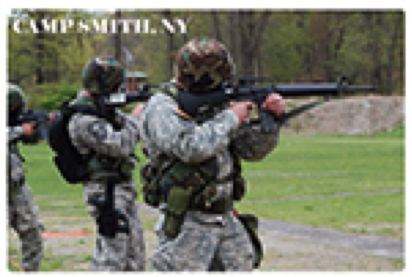 The National Guard’s activation also led to my activation & deployment at Camp Smith, in Northern Westchester, with the New York Guard, which augments and supports the NY National Guard. My activation led to me taking a few days away from my regular day-to-day job on the NYPA Digital Communications team. That’s me in the photo, at the far left, taken at an August recruiting event at Stewart International Airport during the annual air show. I was assigned with other New York Guardsmen to work with the National Guard and other military units from the Army and Air Force, rotating into Camp Smith and then deployed down to Manhattan. We were assigned to Range Control, assisting with rifle qualifications at Camp Smith’s ranges, traffic control, mess duty and security. Some of the National Guard units that were activated had not fired a weapon in more than a year, so it was important that they went through target practice to make sure that the troops would be fully effective in real-life situations. 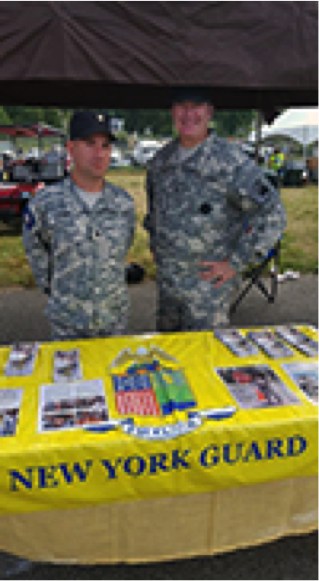 The New York Guard is a state volunteer emergency response force, augmenting and supporting the New York National Guard with manpower and skills. Its mobilization last month was the first time it had been activated in response to an emergency event since Superstorm Sandy in October 2012. I was proud to be able to support New York State’s response to the Manhattan bombing. All of us who were activated & deployed last month took the situation and our responsibilities very seriously. I’ve always wanted to have some involvement with the military. Both of my grandfathers served in World War II—one in the Pacific and the other in North Africa, Sicily and Italy—so I have that in my family background and hold the armed services in the highest regard. My father-in-law also served for many years in the U.S. Army Reserve and retired as a Lieutenant Colonel, with many years of service at West Point, so you can say that I am part of a military family as well. At 42 years old I have been in the New York Guard since 2013, and just re-enlisted for another three years. Right now my rank is Specialist, Grade E-4. The New York Guard is different from the New York National Guard in that NYG units cannot be deployed outside New York State. 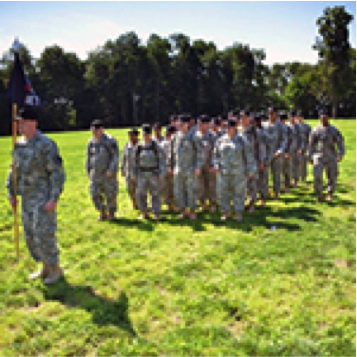 My unit, the 56th Brigade, has experience in Military Emergency Management, Force Protection, Traffic Control and other military specialties. It has been a great experience. The members of my guard unit are great, salt of the earth types—a great bunch of people—and I’ve learned a lot, especially about military emergency management preparedness for any one of a number of disasters. While I’ve only been mobilized once during the last three years, my service commitment involves both weeknight and weekend duty at Camp Smith several times a month, with traffic and security responsibilities, administrative juggling work and family, but everyone pulls together and to make it happen, and I get to fulfill my desire to serve in the military and do some good for New York. On the work end of things, New York State Military Law allows for state employees engaged in military service to be absent from work for up to 30 days military leave without affecting their salary or other compensation. NYPA and my department—Corporate Communications—have been nothing but supportive of my service in the New York Guard. It’s made a big difference and I’m very grateful for the backing that I’ve received. In July of this year, US electric car sales jumped more than 45% compared to the same time period last year. Leading models include the Chevrolet Volt (2,406 sold); Tesla Model S & Model X (2,000 & 1,800, respectively) and the BMW i3 (1,479)1. Questions regarding electric car’s consistently pop-up in conversation or on social media. Why are electric cars suddenly all the rage? When did electric cars first come into play? How has the EV industry grown? It all started some 100 years ago. Innovators in Europe and the US experimented with a battery-powered vehicle in the earlier part of the 1800s. The first successful electric car was designed in 1890 by William Morrison, a chemist from Iowa, and had a top speed of 14 miles per hour. By 1900, around a third of all vehicles on the road were electric cars and growth continued until around 1910. In 1912, gas-powered cars cost almost a third of what an electric car cost2 and with evolving technology of gasoline-powered vehicles, they took off. Fast-forward to 2000, with the worldwide debut of the Toyota Prius, electric cars made their way back into the spotlight. Silicon Valley startup, Tesla Motors, started producing electric cars in 2006 with a 200+ mile range on a single charge – at the time, unheard of. Over the next few years, other automakers came out with electric vehicles, but one problem remained – where to charge them. Electric vehicles have transformed the way people think about their commutes, and even more so, their way of life. But what brought about these changes? One of the biggest evolutions is the fact that governments are embracing electric vehicle infrastructure and electric vehicles as a whole – offering workplace charging programs, installing new charging stations on major highways or in major metropolitan areas and offering incentives on EV and EV equipment purchases. Recent CO2 emission regulations are also encouraging adoption in the marketplace. 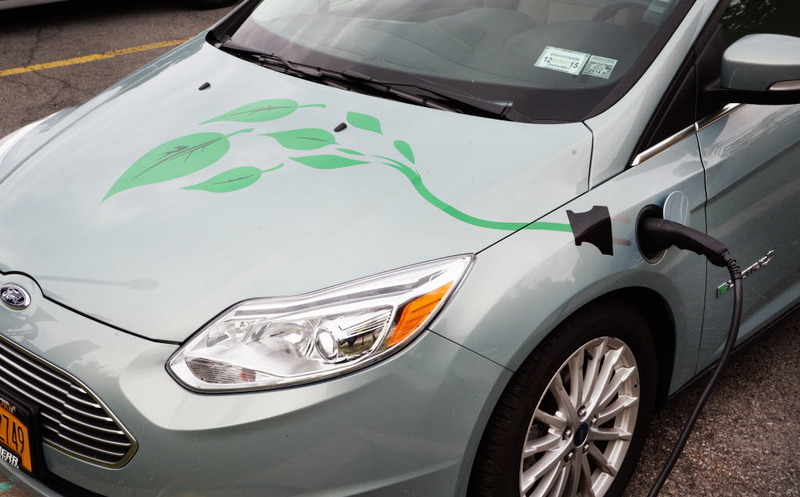 At NYPA, we recently held an EV showcase event, featuring models from three different auto-makers; employees and customers are offered incentives to “go green” by choosing to make their next car or fleet vehicle an EV or hybrid. At an event in Tarrytown, we celebrated over 100 charging stations that we’ve installed around New York State, with over 1,100 overall. Prioritizing clean transportation is moving from “wave of the future” to right now. Another game-changer disrupting the industry is the economical aspect of electric car ownership. Though some EV’s may be pricier because of market forces, they’re cheaper to build and with fewer parts. An added bonus is that they’re also cheaper to maintain for the same reason. When prospective car buyers explore their next vehicle purchase, they also look at the comfort aspect – and electric cars can provide that with minimal road noise and an almost-silent motor, leading to a more stress-free environment. Consumers, especially those in the 18-34 age bracket, are scooping up EV’s since manufacturers have brought more choices to market while keeping prices competitive with their gas-powered counterparts. We’re in an era where electric vehicles have changed more in the past 5 years, than they did during the entire 20th century. Nearly every major automotive brand is producing at least one electric vehicle, and charging station infrastructure continues to grow at a rapid rate. According to the Department of Energy2, if all light-duty vehicles in the US were hybrid or plug-in electric, we would reduce our dependence on foreign oil by 30-60 percent, while lowering carbon pollution from transportation by as much as 20 percent. The successes of electric vehicles today offer a breeding ground for the electric vehicle industry, and prove that electric vehicles are here to stay. NYPA Goes for the Gold! This August, billions of pairs of eyes are glued to screens around the world watching their favorite events during the 2016 Summer Olympics in Rio de Janeiro. Everyone loves great athletic competition, but how many people can claim a direct relation to an actual Olympian? Julieanne Sullivan, NYPA’s Media Relations Manager for Economic Development, can claim several Olympians as part of her family! 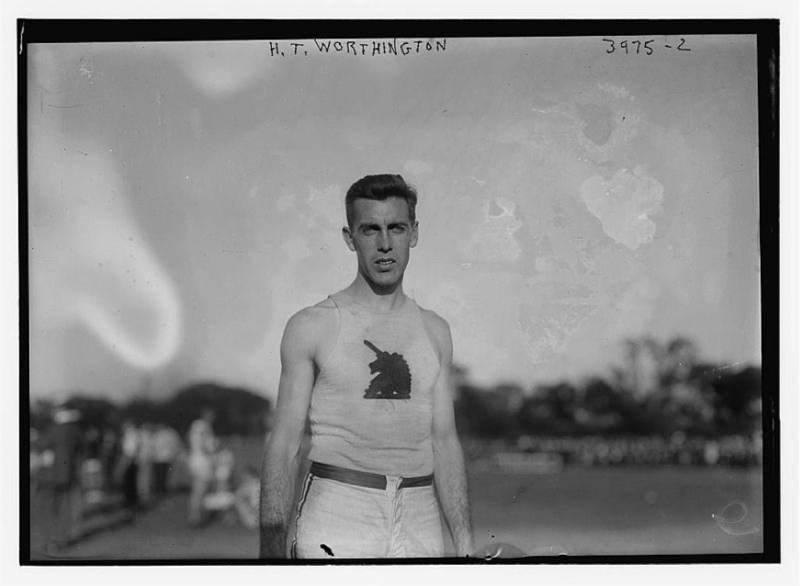 Harry Thomas Worthington, Julieanne’s grandfather, was a nationally ranked track and field athlete during the early 20th century. His main event was the long jump, and in 1912 he participated in the Olympic Games in Stockholm, Sweden, placing fourth and narrowly missing his chance to earn a medal. Later, in 1915-16, Worthington was the Amateur Athletic Union (AAU) and Intercollegiate Association of Amateur Athletes of America (IC4A) long jump champion. “He had a truly amazing life. The 1912 Olympics were just the beginning. My family was always so proud of him,” says Julieanne. Additional stats on Worthington can be found here. Yes, you read that correctly. Media Relations Manager Julieanne Sullivan has an impressive Olympic lineage. In addition to her grandfather and 1912 Olympic track star Harry Worthington, Julieanne can also claim Trace “the Ace” Worthington as a cousin. Trace Worthington enjoyed a spectacularly successful career as a freestyle skier. From 1986, when he won the aerials gold at the World Junior Championships to his retirement in the fall of 1997, he won 39 World Cup events, had 79 career podium finishes, was the World Cup Combined Champion three times and the World Cup Aerials Champion in 1995. His two gold medals at the World Championships in 1995 (aerials and combined), is an achievement never duplicated by ANY freestyle skier. Trace also competed on two separate Olympic teams, following in the footsteps of his great-grandfather Harry. 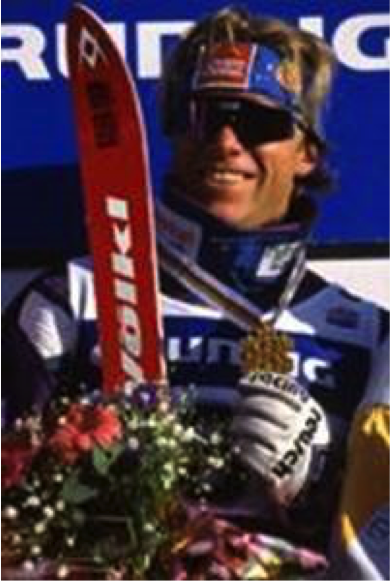 Ski Racing Magazine named him Freestyle Skier of the Year from 1992 to 1995 and International Skier of the Year in 1993. For more on Trace’s skiing career check out this Rolling Stone story from February, 1994 and his current Twitter page. Stay tuned for more Olympians with a NYPA connection. 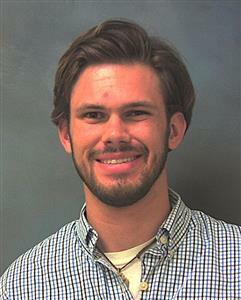 Gregory Spaulding is pursuing his degree in Math and Philosophy at Columbia University. He works in the Customer Energy Solutions group in our White Plains office. I chose to major in Math and Philosophy because I wanted a degree doing something I enjoyed studying, while also being versatile in what I could do after school. I’m most passionate about the process of enacting a project and how it benefits both NYPA and the customer. I’d like to be involved in projects where I can really see a difference between start and finish. One unexpected challenge I’ve met is that I really haven’t had much involvement in my fields outside of the classroom, but I’ll add value by focusing on not only learning about the projects we do here, but also applying that knowledge to become more involved in each successive project..
My best friend would describe me as a bit quiet and stoic, but also understanding and enthusiastic. 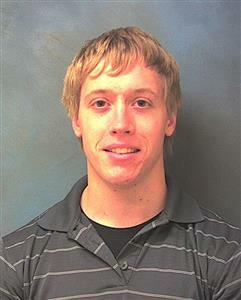 Zachary Hayes is pursuing his degree in Mechanical Engineering at the Rochester Institute of Technology. He works in the Energy Services Implementation group, CUNY Division, in our White Plains office. I picked my major because it has a wide range of job opportunities. I’m most passionate about hands-on, large scale projects that utilize a variety of disciplines. For instance, having NYPA Engineers, construction contractors, electricians, HVAC technicians, and mechanics all working together. Some of the projects I hope to be involved in include ones related to power generation and distribution. One of the biggest challenges in my field is the business aspect. You aren’t really prepared or given a heads-up to the business/paperwork side of engineering. I’d like to further develop my inter-personal and professional relationship-building skills. In general, however, I want to learn as much as I can to make me more desirable as a full time hire for companies. I’ll deliver value to NYPA by working hard, maintaining focus and being available as a tool and resource for the members in my team. My best friend would describe me as independent, a little bit neat, and unique. 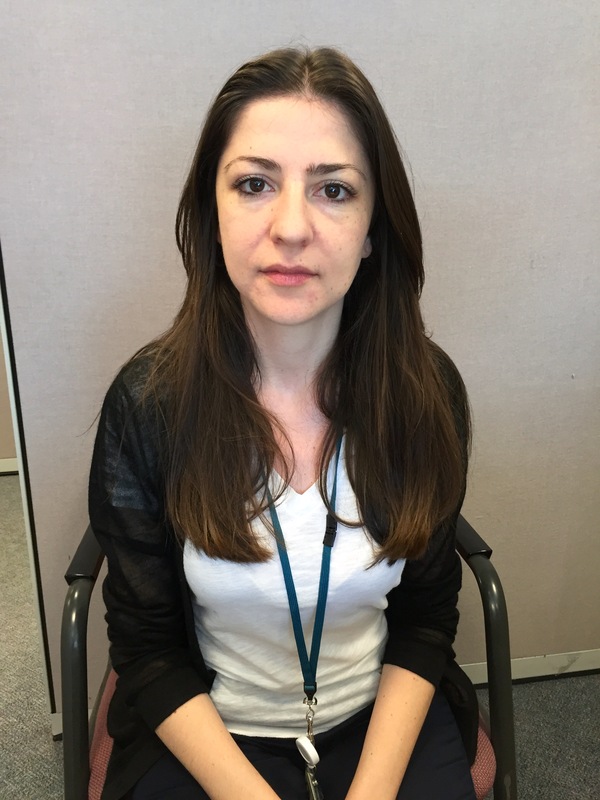 Athina Kontouli is pursuing her master’s degree in Enterprise Risk Management at Saint John’s University. She works in the Risk Management department of our White Plains office. I am pursuing a Master’s degree in Enterprise Risk Management, where I just completed my second semester and I will be graduating this upcoming January. I came to New York a year ago from Greece, where I earned my Bachelor’s degree in Economics, from Panteion University of Athens. My major is Enterprise Risk Management. I selected the specific major as it is relatively new, evolving day by day and very interesting. I work at the Risk Management department of NYPA which is comprised of three sectors; the Insurance Risk management, the Operational Risk and the Enterprise Risk Management group where I am interning. The ERM mission is to help protect and enhance the value of the organization through informed risk-based decision-making for optimal resource allocation. My goal is to learn the most I can from this internship during the summer; I would say I am most passionate about learning methods and techniques in risk assessments and evaluations. I would definitely like to participate in the strategic planning of risk management. I am currently participating in the analysis of risk assessment workshop data and assisting with the enhancement of risk reporting. I hope I can sharpen my critical thinking, my crisis management skills as well as my presentation skills. Being at NYPA as an intern will give me the opportunity to implement all I have learned at school the past year; my ambition is to add value to the department by providing a different and unique perspective. My best friend would describe me as loyal and reliable. Nicholas Harris is pursuing his degree in Mechanical Engineering at the University of Rhode Island. He works in the Mechanical Engineering department in our White Plains office. I chose Mechanical Engineering because of my strengths and interests in math and science and my curiosity of how things work. I am most passionate about learning how power is generated on a state-wide scale and I hope to get involved in some projects that will challenge me and force me to think outside the box to improve quality of production at any of the plants. I haven’t encountered many difficulties here in the first few weeks that I’ve been working, but in my field in general, I have found it difficult to convert my knowledge gained from classes and textbooks into practical uses. Difficult, but not impossible! I hope to sharpen my skills in translating my knowledge into practical uses. I will create value at NYPA by working through the challenges and obstacles I’m faced with to aid the success of the company and add to my own skill set. My best friend would describe me as intelligent with a great sense of humor. 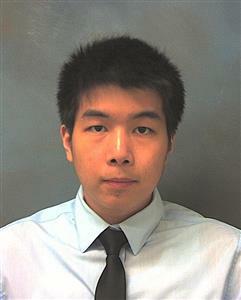 Wing Kit Wu is pursuing his degree in Electrical Engineering at the CUNY City College of New York. He works in the Project Management department in our White Plains office. I chose my major because I enjoy solving problems. Being able to find a solution to a problem/project that you have worked on for a long time feels very rewarding. I am most interested in learning about the power industry while being here at NYPA because this is a field that I plan to focus on during my studies. A project that I will be involved with is called the PV-20 Submarine Cable Replacement in which various kinds of people will be involved with to replace cables that are at risk to disrupting services in parts of New York and Vermont. A few skills that I plan to sharpen are related to team work and communication because they are very vital skills to have in every working environment. I will create value while interning at NYPA by learning as much as I can from my mentors about the project that we will be working on and by interacting with various kinds of people throughout the project to learn about their roles on the project. My best friend would describe me as hardworking because I put a lot of effort in everything that I do. 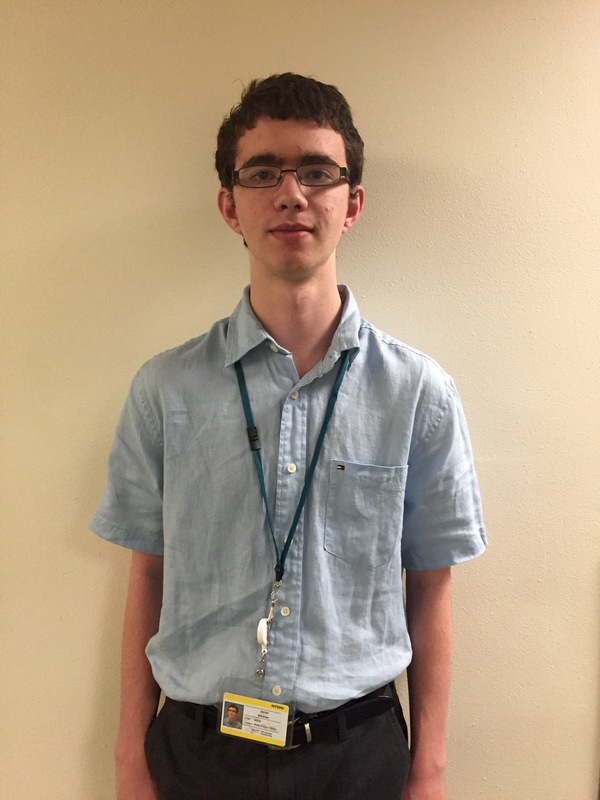 Jeffrey Solomon is pursuing his degree in Systems Engineering at the University of Virginia. 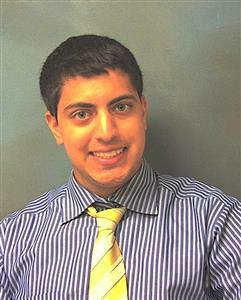 He works in the Asset Management department in our White Plains office. I chose to major in Systems Engineering because I enjoy the key concepts of defining a system and its objectives as well as data analysis of the system. I really look forward in learning how to use Maximo effectively for asset management and hope to get involved with projects involving Maximo as well as actually seeing the assets in person at NYPA’s sites. I am hoping to sharpen my professional skills, communication, business knowledge, as well as my data analysis skills and using Maximo. My best friend would describe me as a hard-working, positive guy who loves to laugh and learn. 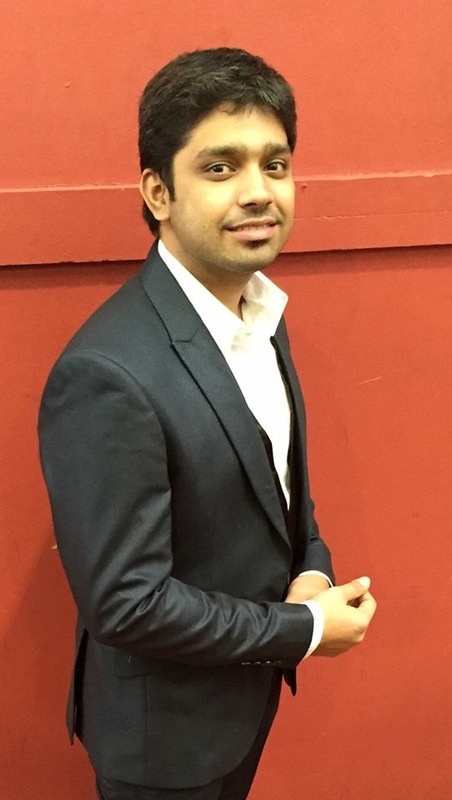 Satish Ravi is pursuing his degree in Energy Systems at Northeastern University. He works in our Energy Resource Management department in our White Plains office. I am majoring in Energy Systems with a minor in Electrical Engineering. My industrial experience is in power generation and I picked this course to strengthen my skills in energy business analytics. I am very passionate about getting accustomed with the energy market structures and I believe that by the end of this internship, I will achieve my goals. I am presently involved with the technical and strategic analysis related to Regional Green Gas House Initiative (RGGI) and shadowing Capacity market auctions. The real time market depends on a lot of factors and to create an economical viable plan is really important. To do so, we need to coordinate with interrelated departments to devise our strategy, which may deviate from the real time markets but we should be ready to adapt to the challenges. I am most excited to actually be a part of the Commercial Energy Operations department and wish to sharpen my business analytics skills and financial energy modelling. My best friend would describe me as a ‘Hardworking and flexible person’. 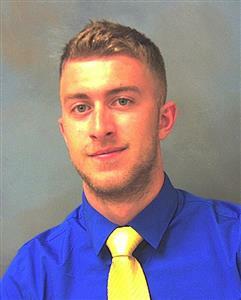 Jacob Brennan is pursuing his degree in Chemical Engineering at the University of Delaware. He works in the Energy Services and Implementation department in our White Plains office. I chose Chemical Engineering as my major because chemistry is fascinating and the engineering applications of it interest me. I am currently working in the Energy Services and Implementation department, which I hope will allow me to learn more about the energy industry and potentially support in my future career as a chemical engineer. I hope that I will be able to work on projects that allow me to better understand the energy efficiency industry and how it works and is connected. I would like to be able to expand and develop my technical skills my personal skills in working with other employees and my professional communication skills, which I have had only limited experience with up to this point. I hope that I will be able to contribute to my department by assisting my fellow employees with their projects to execute projects on time, to provide constructive feedback on internal process and to apply my education to “real world “situations. My best friend would describe me as a passionate and sometimes loud individual that is eager to learn, and equally eager to apply that knowledge to produce real benefits for the world.